Authors Behaving Badly: When Authors React Badly to Negative Reviews and Criticism! Or: How NOT to Handle Bad Reviews! When an author puts a book out into the world they must know it's not going to get completely positive feedback. All books, throughout history, from Hamlet to The Da Vinci Code, have people who love them and people who hate them. And most authors handle the negative reviews pretty well (even if they're crying inside). However, some authors decide that they want to fight their critics. Some get personal. Some get downright nasty. Did someone say car crash? I was originally going to post one article on this but so many authors have behaved badly that I thought I would make it a weekly feature! I bringz you all the drama every Thursday from authors who have been a little naughty. I think this was a despicable thing to do. When a reviewer gives a book a negative review, they are not personally attacking the author. They are commenting on the piece of writing, not the person behind it. 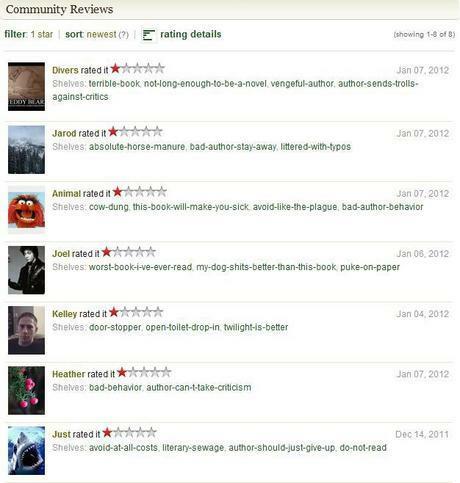 It is not bullying an author to give them a one star review. It is a piece of literary criticism, and negative reviews and all this publicity have probably done Cass's book sales the world of good! I have repeatedly corrected misconceptions about the book and/or defended the points that I thought did not deserve mockery. I have never told a single person NOT to read this book. I have never asked anyone to downvote a single positive Amazon review for this book. I have never withdrawn a single "like" on a positive GoodReads review of this book that I had already cast in support of my friends before the debacle occurred. 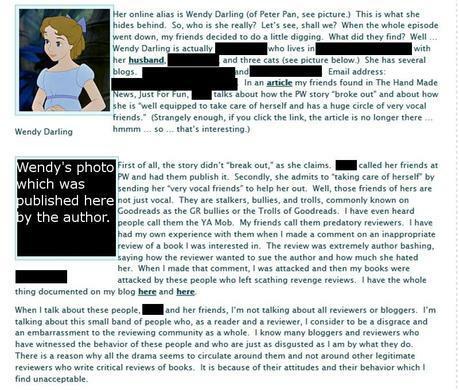 I agree with Cuddlebuggery's comment that this woman is the bully she accuses Wendy Darling of being. I also just want to say this: she loves Nickelback. Just putting that out there. What do you think? Who is in the wrong? I would love to know your thoughts!